Julian JONAH Jealousy & Lies vinyl at Juno Records. For their latest dive into house history, Italian reissue specialists Groovin' Records have decided to take us back to London in 1988. 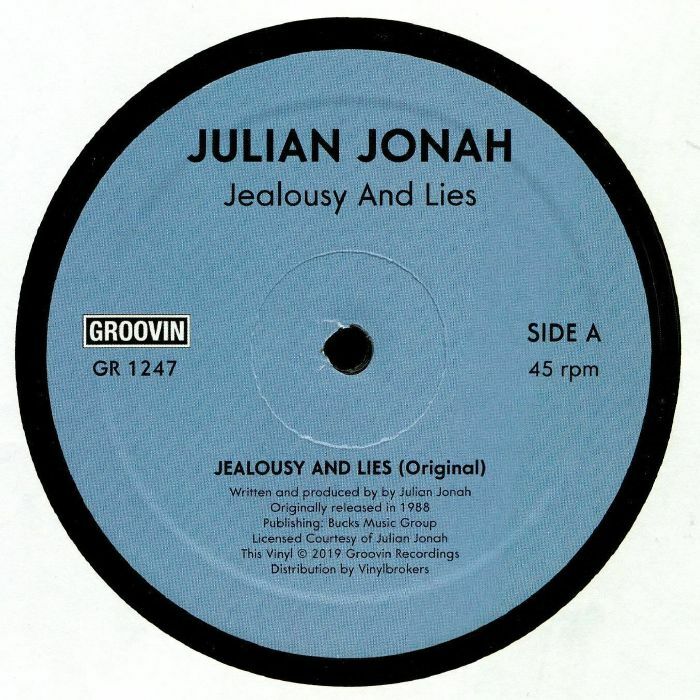 "Jealousy & Lies" was one of the earliest solo singles by Julian Jonah, a producer who later found greater fame as part of 187 Lockdown. 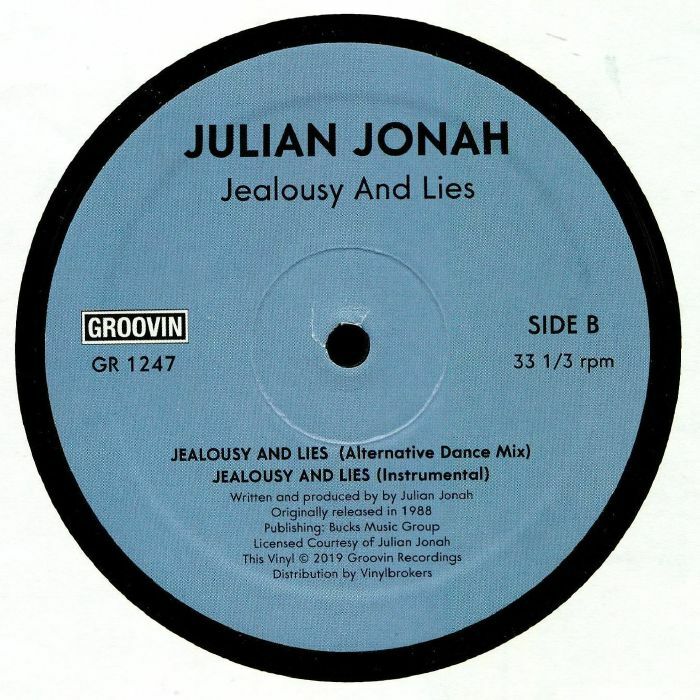 It remains a wonderfully evocative chunk of dreamy deep house, with Jonah's impassioned spoken word vocal riding jacking drums, a chunky bassline and synthesizer sounds reminiscent of Larry Heard's late 1980s work. There's also a more raw-sounding "Alternative Dance Mix" that throws additional drum machine percussion and some tasty piano riffs into the mix, as well as a vocal-free instrumental take that's close in sound and feel to the A-side version.